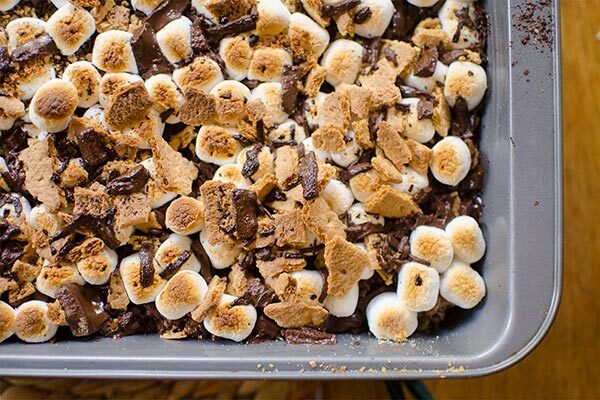 S’mores rice crispy treats with chocolate and graham crackers are the ultimate easy dessert. Oh, long weekends. Once you start working, they become that much sweeter. It’s always nice to get out of the city and escape for a couple of days, but I’m hanging around Toronto this Canada Day long weekend. Floating between my apartment and my childhood home, the apartments of my friends, and the pools and backyards where I grew up. Parks and coffee shops, grocery stores. Doing all the regular things I would in a weekend, but feeling like there is time to actually breathe. I find we are always trying to pack everything into one weekend. We want to make the most of it! Summer is only here for two months! Let’s go swimming! Let’s go to the park! Let’s walk down by the water! Let’s do it all in one day! Mix that in with the actual work that I have to get done on the weekend and it can be pretty exhausting. My alarm goes off on Monday morning at the lovely hour of 5:30am and I already feel like I need another weekend to just sleep and relax. S’mores are one of those quintessential summer treats. I’m not really the camping type, but we used to make them over the bonfire at the cottage. The melty, smoky marshmallows mixed with graham crackers and melted chocolate is basically what dreams are made of. This recipe is made in two parts, first you make the rice krispie treat base. 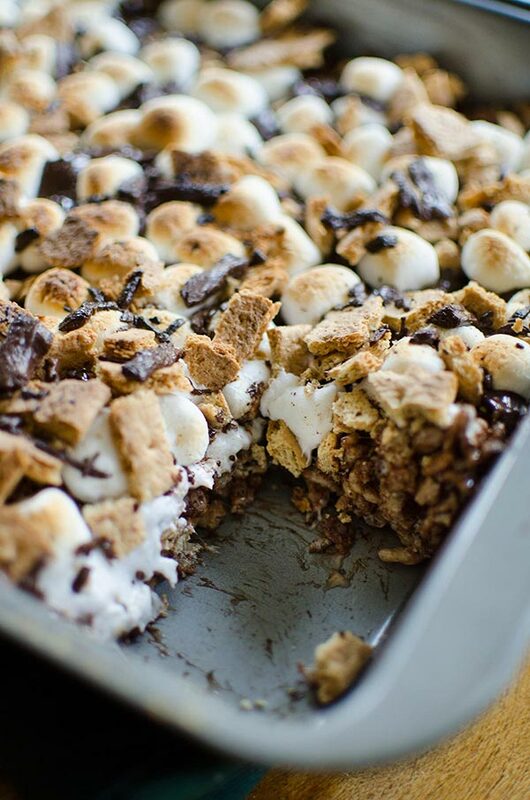 It’s basically your typical rice crispy treat but then you mix in a few of the s’mores ingredients (crumbled graham crackers and chocolate), so it becomes more of a chocolate rice crispy square. 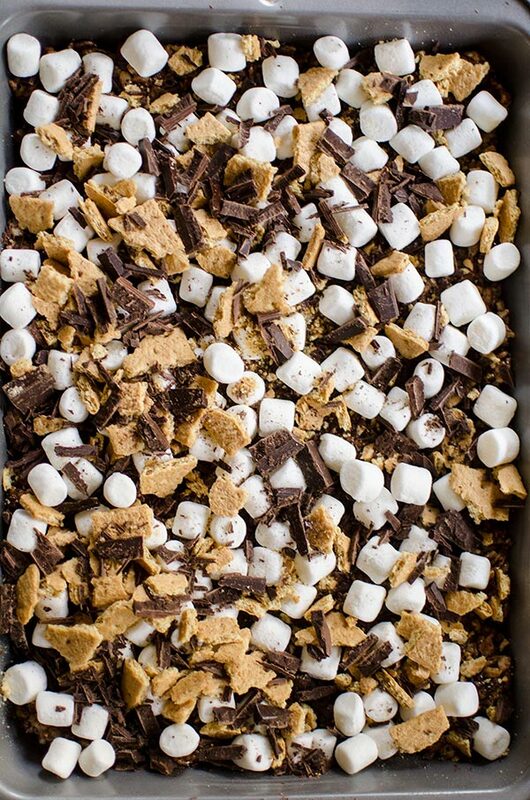 Then it’s pressed into a pan and topped with more marshmallows, crumbled graham crackers and chocolate. You throw this pan under the broiler for about four minutes, just to char the top of the marshmallows and mirror that smoky, campfire look and you’re good to go. You see the golden tops on the marshmallows? That’s what we want. That’s where the flavour is. The thing about these s’mores rice krispie treats is that they are delicious warm and cold. So you can eat them right out of the pan when you make them, and bring them to work or to a picnic when they have cooled down and they are just as good. 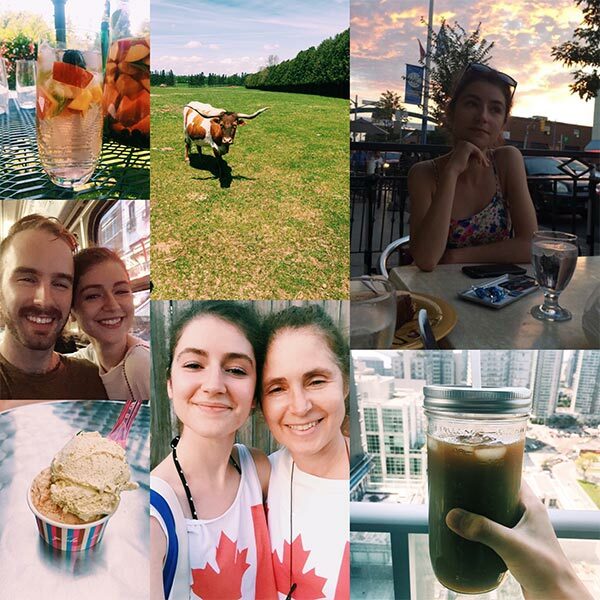 I love seeing photos from my favourite bloggers so I thought I’d give you a bit of a peak into my summer so far. If you follow me on Instagram you may have seen a few of them before! How lucky am I to live in this great city and have the most amazing tribe of friends. Allow to cool for 15 minutes before cutting into 16 squares. Let me know if you give these s’mores rice crispy treats a try in the comments below! Oh my goodness...Your weekend sounds soooo lovely & I'm sure your Canada Day was lots of fun! This recipe looks soooo delicious! I must pick up the ingredients & make it very soon!